Autism Hope Alliance gives seal of approval to family friendly Piano Wizard Academy piano learning software game system. "Playing Piano Proven to Light Up and Impact the Whole Brain Because of Hands"
Children are so unique, and the autism spectrum so wide, that we wanted to give every family enough time to try it without any risk to ensure that it works for them. The Autism Hope Alliance is a not for profit foundation that embodies hope for families facing the diagnosis of Autism through education, financial support and volunteerism. A.H.A. has pioneered the Autism Approved® program, which is designed to highlight numerous products, materials, clothing, toys and other goods that meet a strict criteria to be deemed Autism community friendly. On December 8, 2013, Piano Wizard Academy was awarded the Autism Approved seal. Piano Wizard is a simple music video game system that allows users to play real songs in minutes using a revolutionary patented 4-step approach. The Academy package adds videos lessons and songbooks that coordinate with the software. A.H.A. was especially impressed the story of Jed, a boy with such severe mental challenges he could barely speak, and could not even communicate enough to ask for a glass of water at 7 years old. Yet the color coded simplicity and ease of the program enabled Jed in a little over 2 years to be able to complete the entire 100-lesson curriculum, with him now playing and reading complex sheet music like Bach and Beethoven at the piano. But more importantly, his comprehension, social, and language abilities improved dramatically, even allowing him to begin going to school with other children. Similar responses and testimonials from the ASD community came in to corroborate that something very powerful, effective and affordable was possible for a wide range of children. 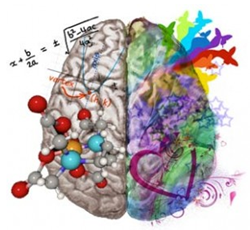 For an excellent summary of some of the latest research on music and the brain, go to http://bit.ly/MusicBrainOverview. *NOTE: A previous version of this press release had a typo on the incidence of ASD in boys.